The Superdraft team has done a great deal of architectural documentation in Perth, from residential buildings to developments. Our Perth draftsman have helped a variety of clients build their dream homes and worked with developers to provide housing solutions for all kinds of families with all kinds of lifestyles. These are just a few of our many successful Perth drafting projects. This home was updated with a modern second storey extension. Along with the new large bedroom upstairs, this home also has a new kitchen, an open plan living and dining area, and a timber deck. The façade also received an update with timber cladding, completing the warm and welcoming feel of this beautiful home. 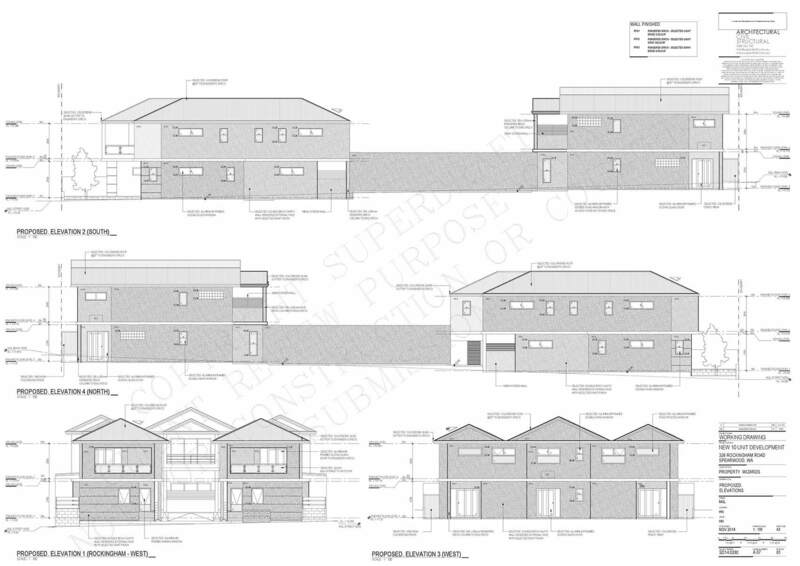 Here is a draft for a heritage style home with modern building quality. This house features traditional detailing and high quality finishes. A rammed earth façade, a grand central staircase, and a natural timber veranda grab the attention. The house’s very own gym and the theatre room get conversations going. This three-storey home greets the homeowner and guests with limestone retaining walls that frame the property and a steel façade that line the walls. Inside is a large open space that serves as the living and dining area, and this space leads to an outdoor living area with views of lush green. 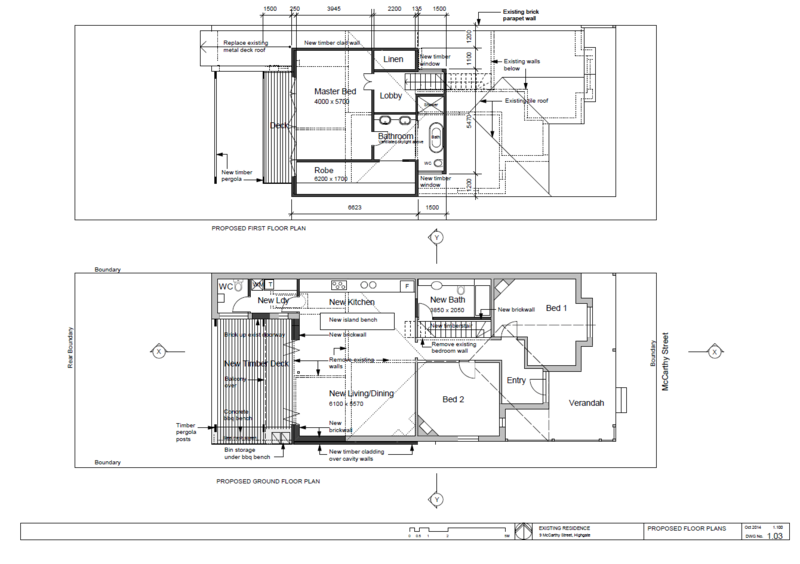 The open living and dining space is separated from the stretch of bedrooms on the other side of the house as well as the access to the upstairs bedroom, to allow the bedrooms more privacy. 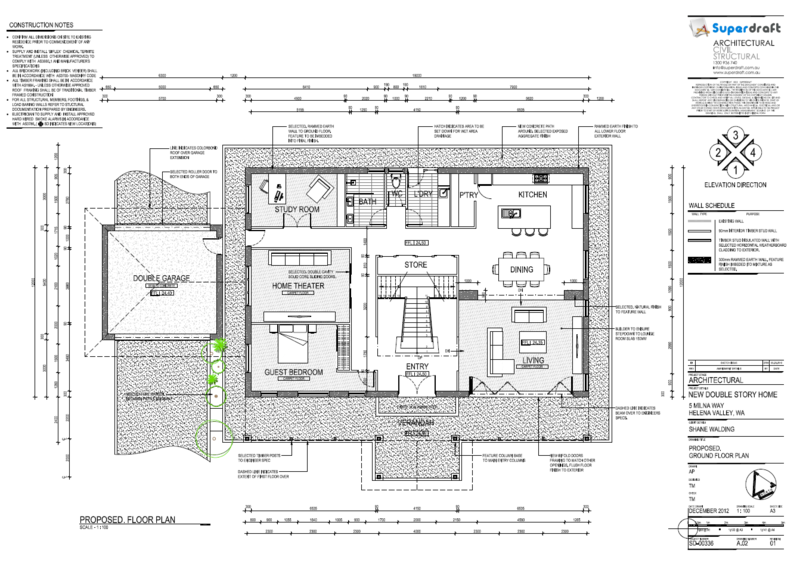 One of our more interesting Perth drafting projects, this home features a unique layout. Instead of traditional straight lines, the partitions in this home are angled, to make the most out of the house’s space and the client’s viewing pleasure. That way, our client gets to have large entertainment spaces, an alfresco, and a bridge that serves as a viewing platform for the pool below. Our design for this floor plan features traditional straight lines and simple engineering, but this luxury home is anything but ordinary. This project boasts three storeys of great materials, such as high-end aluminium glazing to keep the home bright and warm. Tailor-fit goodies, including a pool, an upstairs kitchenette, and a personal lift, are the icing on the cake. 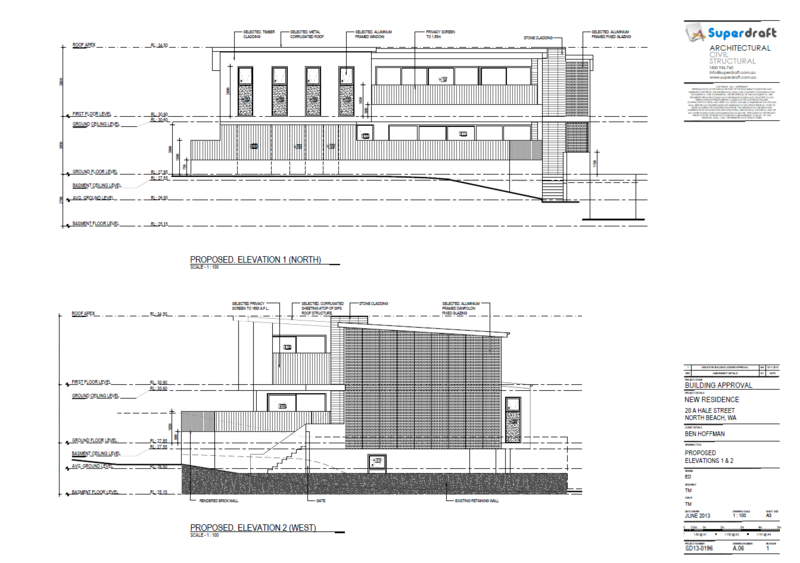 For this Perth building design project, we collaborated with Property Wizards in coming up with architectural documentation for a development. Superdraft was called to produce creative and cost-effective designs for homes suitable for the client’s target market and their lifestyles. The result met client expectations – designs that give our client the highest yield and profit. 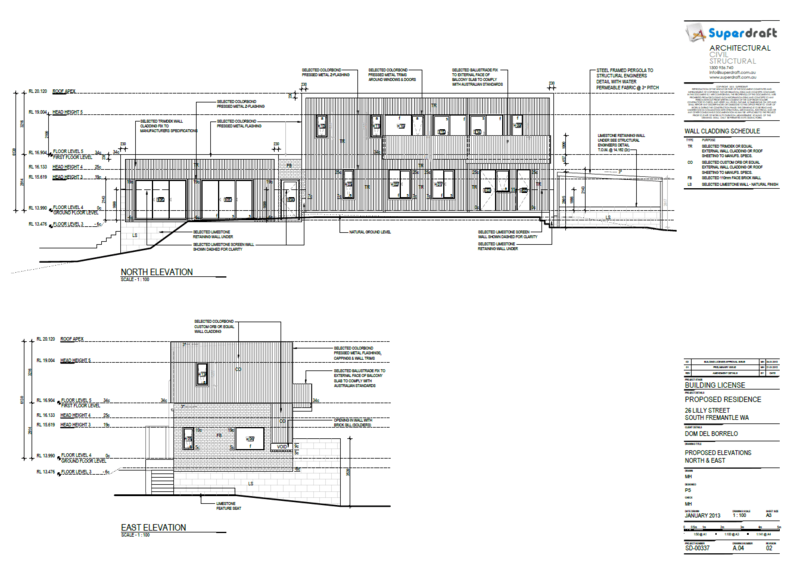 See our portfolio for more of our Perth drafting projects and building projects. 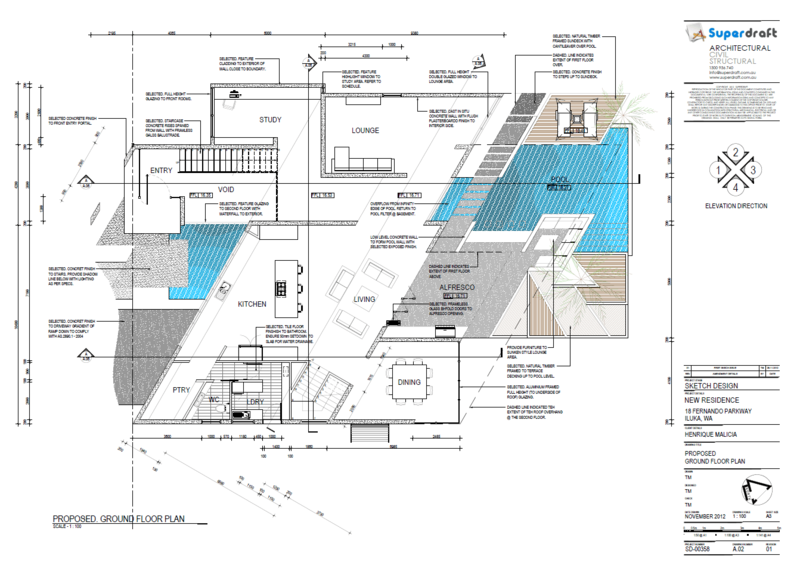 Get in touch with us to find out more about our architecture and drafting services all over Australia.